In addition to my story work and senior film, my class spent the year collaborating with John and Brenda Romero's Masters Game Design program at UCSC. 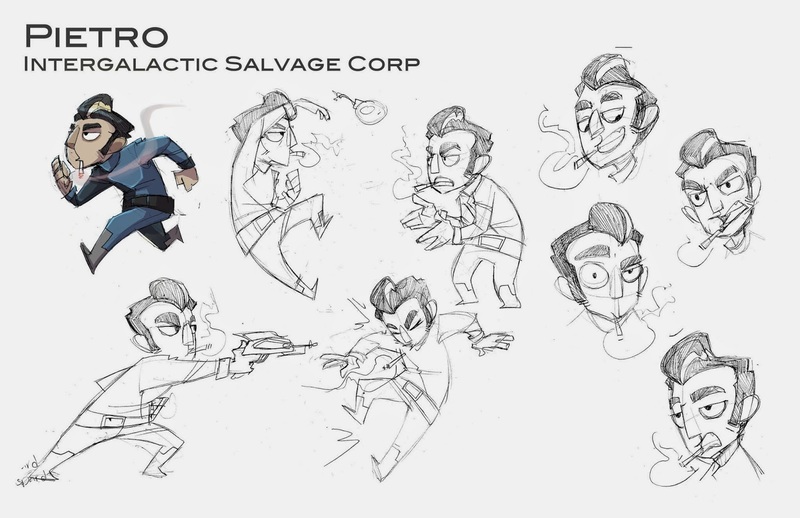 I was placed on "Intergalactic Salvage Corp" and ended up designing the four main characters, despite my focus as a story artist. Unfortunately the project was shelved at the end of May and we only got two characters in the game but it was a fun project to work on. 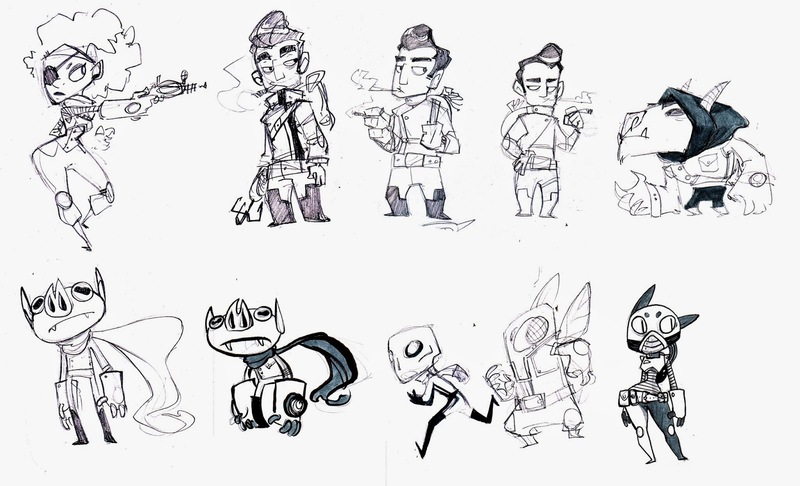 This were early concepts for playable characters. We knew we wanted two human characters, male and female, and two alien characters. The top left became Gina, and another artist took over her after this point. Pose and expression sheets for Notch and Pietro. Notch was my favorite character by far, I was sad he never had the chance to be animated. 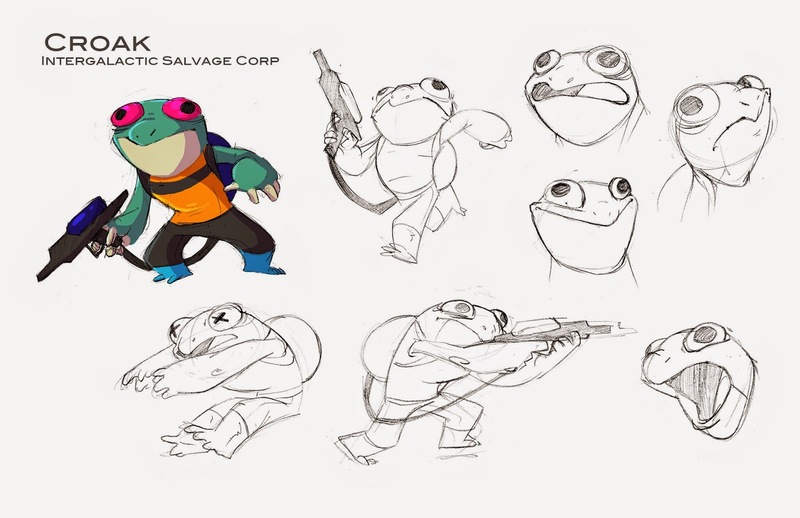 Croak was a nightmare of a character to design. He went through like five different artists before I ended up with him. 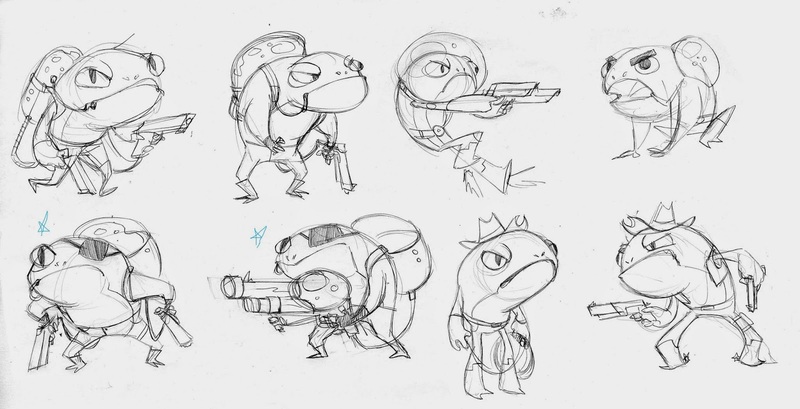 Our lead was really gunning for a frog character but nothing sat right for MONTHS. Until I finally realized that all my problems can be solves by drawing Muppets. 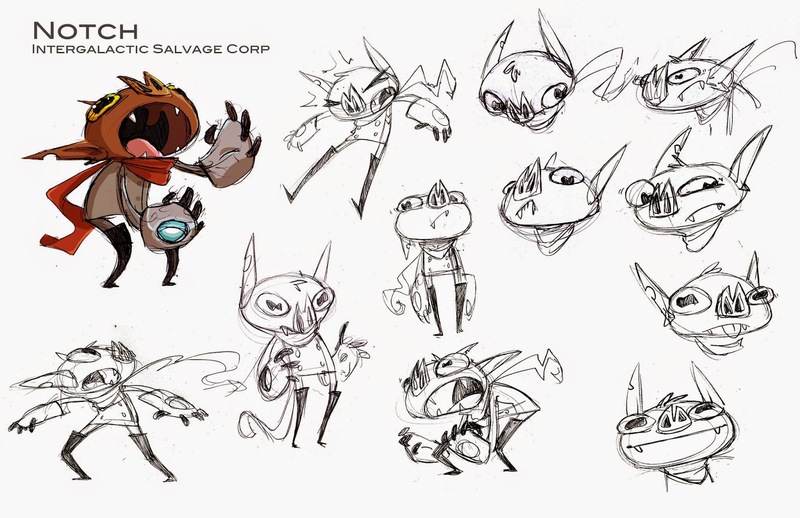 I really hate the final design and I still sorta wish I could have revisited another idea. But everyone else loved the final look, so that's all the matters! Lastly I was asked to design win and lose poses that fit within the lineless style of the rest of the game and to match the final designs that were animated for Gina and Pietro. I had never done lineless cartoons before so it was a nice break from my comfort zone. 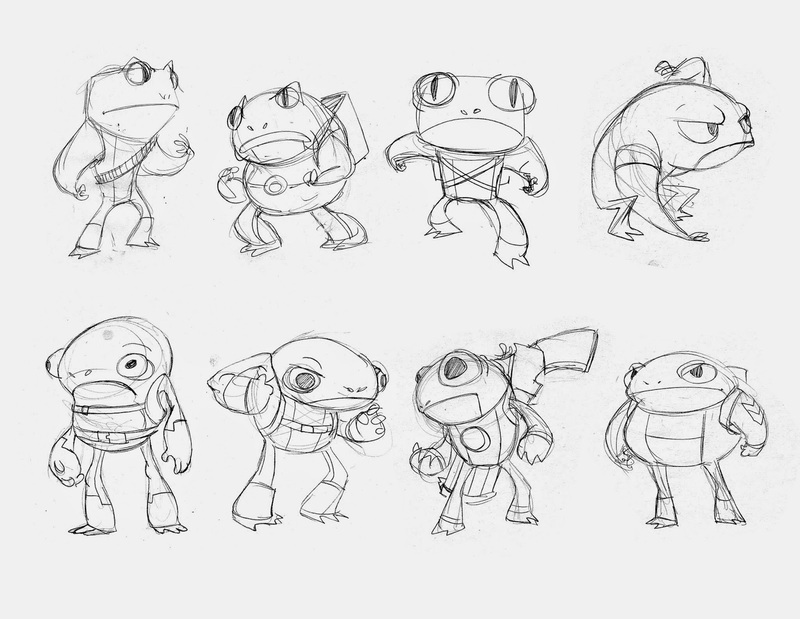 The game was shelved before I had a chance to do second poses for Notch and Croak, but they make for a nice looking character line up.